Hello, Doodlebugs! 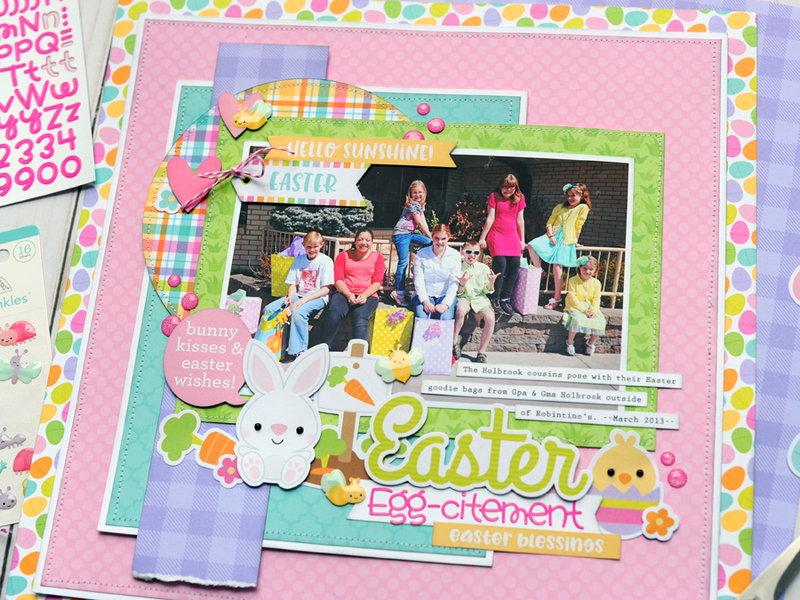 Today I have a cute and colorful Easter page to share with you using the adorable Hoppy Easter collection. I pulled out my sewing machine for this one and added lots of stitching to all of the different paper layers on this project. 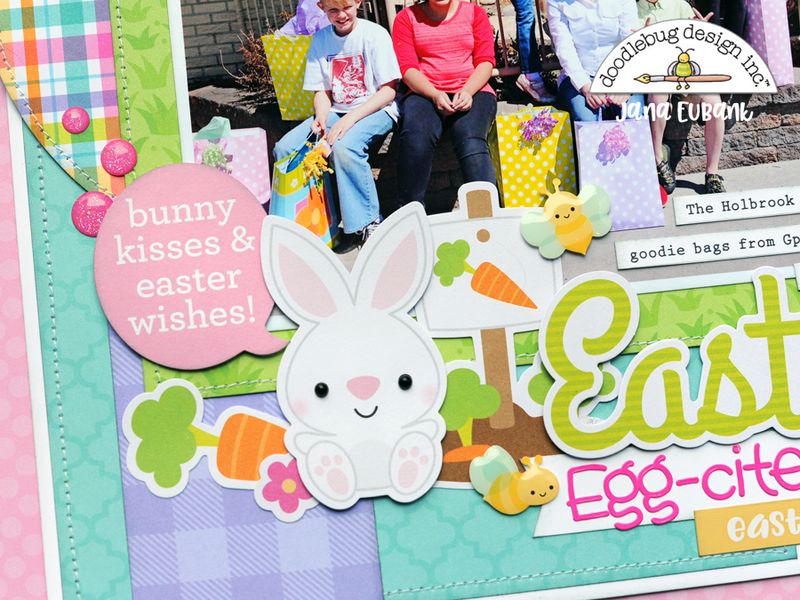 The Odds & Ends pack is my Go To Doodlebug product! I LOVE all of the different elements and always enjoy building scenes on my pages with them. 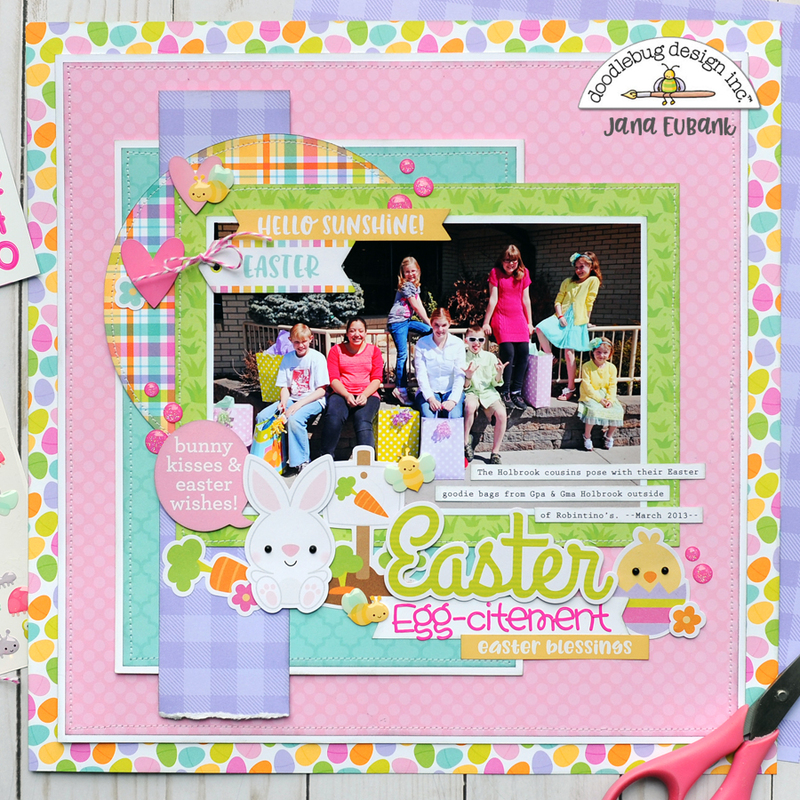 On this page, I added a garden scene for this cute little Easter bunny to hang out in. I pulled in some bees from the Simply Spring Little Critters Shape Sprinkles so he would have some pals to munch on his carrots with. 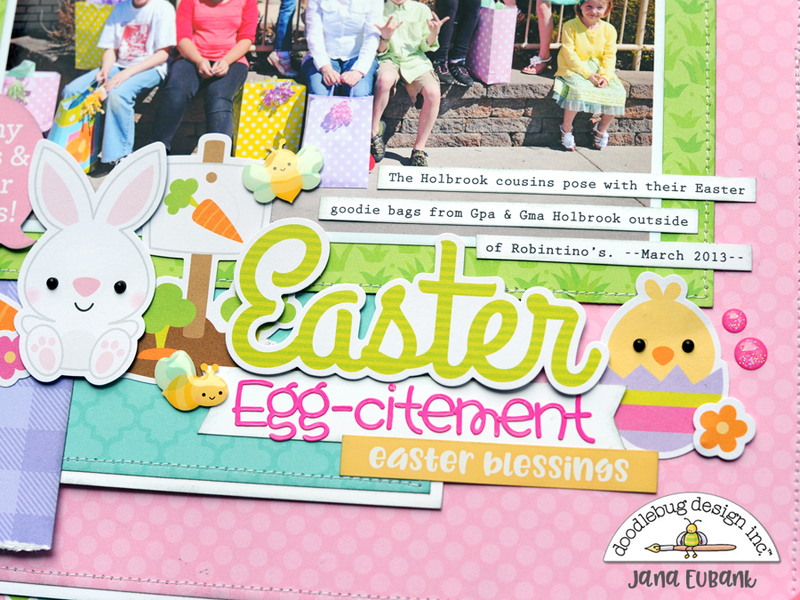 I used the "Easter" Chit Chat die cut for my title along with the Bubblegum Teensy Type alphabet stickers. A cute chick peeking out of his colorful egg shell is ready for the Easter "Egg"citement! I always love adding a bit of sparkle to my layouts. This time I brought in the Birthday Girl Assortment Glitter Sprinkles and added them in a few places around the page. The pop of pink here-and-there ties in with the pink outfits in the photo and helps the page to feel balanced. 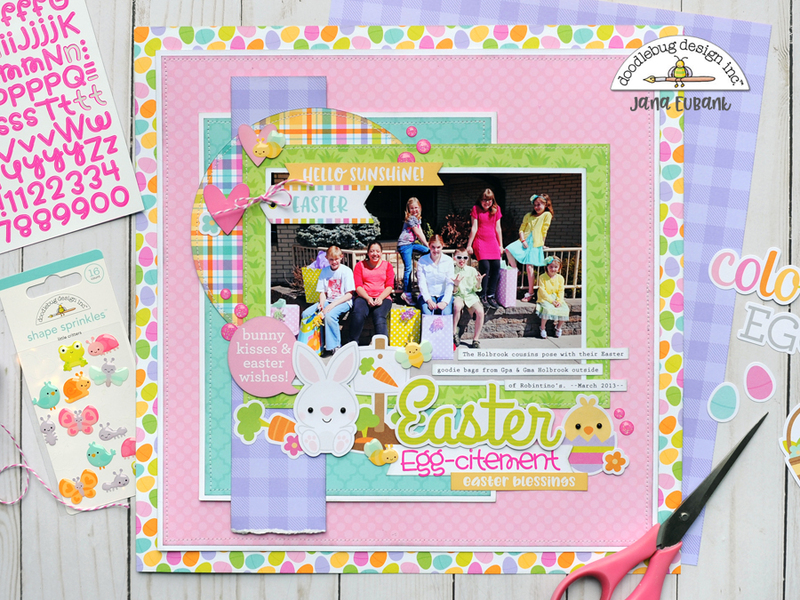 I hope you enjoyed this page today and feel inspired to do a little Easter scrapping yourself! See you again soon! Absolutely beautiful! Love the stitching! 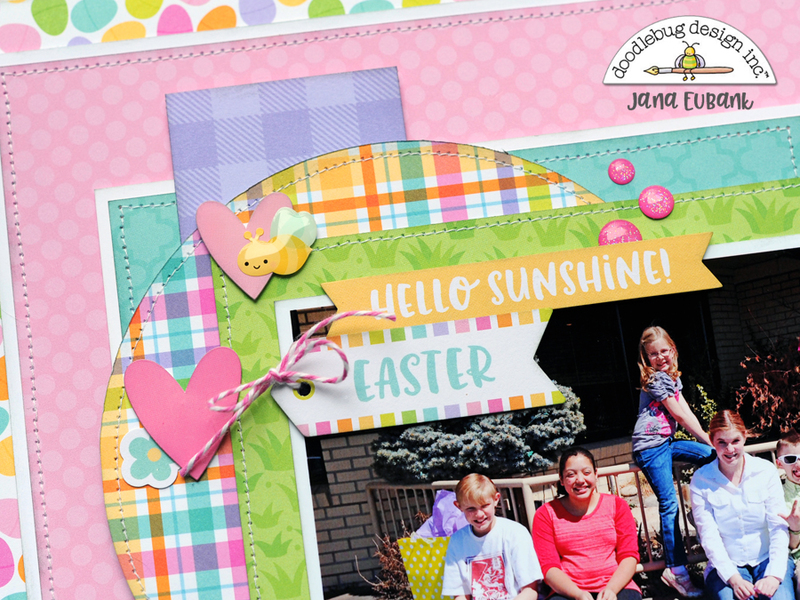 I love Jana's layouts! The colors are so yummy on this, really cute.